Jung Woo is a South Korea actor who is well-known for playing the roles of Trash Oppa in “Reply 1994” (2013) and Seo Jin Wook in “You Are The Best!” (2013). He made his official debut as a movie actor in 2001 with the movie “Running 7 Dogs”. He attracted attention for his role as a lovable villain in the movie “Spare”. The film director of “Spare”, Lee Sung Han, wanted Jung Woo for his next movie. That movie turned out to be one that Jung Woo wrote based on his experience in high school. Jung Woo did not have it easy in high school. When attending Busan Gaesung High School, Jung Woo joined a gang and wanted to become the school’s number one fighter. Jung Woo was not embarrassed to say that the movie was based on his own life story. He was a delinquent back then, and such goals were in direct contrast to those of his high achiever siblings, and that naturally created plenty of conflict. 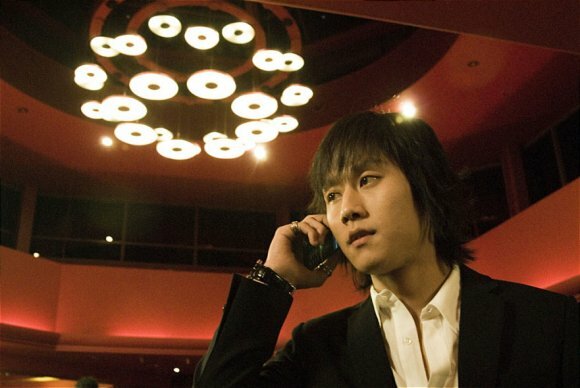 In the low-budget 2009 movie named “Wish”, Jung Woo worked as a screenwriter as well as played a character with his real name Kim Jeong Guk as well as with his nickname. Jjanggu is a movie focused on high school, but its also a broader statement about violence in Korean society that resonated with many viewers. Jung Woo’s deceased father also studied theatre. Jung Woo’s mother has ever operated a bookstore in Busan, but it’s now closed. Jung Woo was once offered to be apart of a cast by “Reply 1997” director Shin Won Ho, but Jung Woo did not participate because he was serving as a social worker back then. 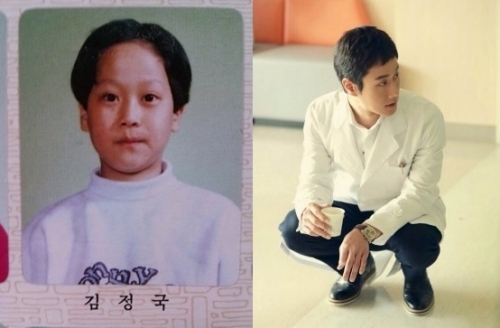 Here is a childhood photo of Jung Woo.